Bike Camp is an award-winning educational and training program for beginning cyclists as well as those who wish to get back into the sport. Designed for adults and minors, 12 and up, Bike Camp provides many opportunities for families and adults to learn safe and efficient road cycling. Thursday, May 9th, 2019 at 6:30 – 8:30 p.m.
During this first session we will provide an overview of Bike Camp 2019 and brief presentations on bicycle selection, bike components & fit, what to wear and what to eat and drink while cycling, and some basic road safety tips and laws. We will also ask you to fill out a survey that will help us identify your current fitness level and bicycling goals. This is an informational session only; please do not bring your bike. At each of these Saturday morning sessions there will be a presentation about a specific aspect of bicycling or fitness followed by group training rides of various paces and distances that are led by experienced cyclists. Bike Campers at similar fitness levels and with similar distance goals will ride together. Helmets are required (as are bicycles, of course) for all four of these Saturday morning sessions. May 11th, May 18th – will be at the Portage YMCA, 2900 West Centre (click on link to see map). These group training rides will help Bike Campers develop better bike handling skills for riding in groups while building riding endurance. Ride With GPS maps of planned routes are as follows: 5 miles; 10 miles; 15 miles; 20 miles. May 25th and June 1st (Saturday of Memorial Day weekend and the following Saturday): Texas Township Park (click on link to see map). These group training rides will help Bike Campers become familiar with some of the routes followed on KBC’s Monday Evening Rides while continuing to develop better bike handling skills in groups and enhancing endurance. Ride with GPS maps of planned routes are as follows: 10 miles; 15 miles; 20 miles. The Grand Rapids Triathlon is known for it’s flat, fast course. It’s ideal for the new and experienced triathlete alike. With a beautiful swim in the lake-like Thornapple River with virtually no current, to a flat country-road bike course then on to the scenic, shaded run course with loads of local support. 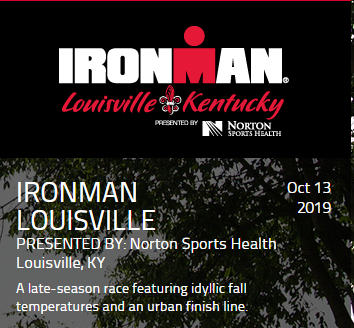 This race offers several free clinics leading up to the event, a pre-race swim and pre-ride at the race site the week before along with an amazing expo. It’s the largest independent triathlon in Michigan and offers a Sprint, Olympic and Half Iron, all with separate transition areas to give you a small race feel. Come experience a world-class event in Grand Rapids, MI on June 9, 2019. Kalamazoo County’s, Coldbrook County Park is the scene for this year’s 35th Seahorse Triathlon and Duathlon, which has been the state’s big season opener to kick off another great year of multi-sport. Plenty of lodging opportunities between Battle Creek and Kalamazoo, as well as both modern and rustic camping available at the park. Sleep in, wake up and be 800m from the transition area. The swim is in a small clear lake with two loops for the Olympic distance athletes. The transition area, finish line and post race festivities are all located in the back of the park, closed to traffic. The bike course is a great all right turn affair with one short climb and again two loops for the Olympic distance. The run is entirely enclosed inside the park with a half cross country, half pavement course. A great course that will keep you motivated and pushing as you can hear the finish line from almost every spot on the course. A few short uphill and downhill sections as well. A series of 7 lakes in a 25 mile radius make up this course, which means on race morning it seems like every person within that radius is out to cheer on the athletes. Everyone in the area does something to help with the event and at the end of the day you, the athlete, benefit from their participation. The swim start and exit is from a land owner’s vacant lot; the transition area is across the street on another land owner’s vacant lot. The bike course rolls through and around the Sister Lakes community. The run course circles and rolls through a few of the lakes the bike course misses, passing dozens of houses with cheering residents before you head into the Lions Club park for your finish and a great grilled lunch hosted by the Lions Club Grillmasters! Don’t forget the incredible community donated raffle with tons of great prizes. Allegan's 9th annual sprint triathlon to be held on Tuesday, July 16th at 5:45pm at Littlejohn Lake Park. Our mission is to help raise money for the Allegan All-Sports Booster Club to help support our Middle School and High School athletic programs and athletes, while also promoting health and fitness not only within our community but the surrounding area as well. Nestled in the heart of Camp Manitou Lin is one of the best venues in the area for tri-sport. A beautiful sandy beach start from the shores of Barlow Lake, to a breathtaking ride through the rolling hills of the surrounding neighborhoods to an out & back run along the lakeshore, this is a must-do event to put on your every year. Positioned as a boutique event, entry is limited so we can offer great SWAG for everyone, generous transition space and cash prizes not only for the winners but also for 2 lucky random drawings. And the proceeds from this event supports local nonprofit myTEAM TRIUMPH West Michigan Chapter. Join us as we celebrate ability together! The Cereal City Triathlon & Duathlon showcases the City of Battle Creek and its amenities. Te event is hosted at the beautiful Willard Beach on Goguac Lake. With a flat and fast course, the Cereal City Triathlon and Duathlon is a great course to set your personal best. The course and event is perect for beginners and experienced athletes looking for good competition, great views, and some sweet swag! The Cereal City Triathlon and Duathlon offers a sprint triathlon, a super sprint triathlon (ages 9-18) and a duathlon. All events can be done solo or as a relay of two or three people. The Shermanator Triathlon is a fundraising event hosted at the Sherman Lake YMCA Outdoor Center and is excellent for the beginner or competitive athlete. You will find it to be one of the most beautiful race venues in the region. The Shermanator has raised funds annually for the Sherman Lake YMCA to benefit families in need in Kalamazoo and Calhoun Counties for the past 16 years. The Sherman Lake YMCA programs build strong kids, strong families, and strong communities through instilling values of honesty, caring, respect, and responsibility. It is only with the great support of people such as yourself, that each year, hundreds of individuals receive partial financial assistance to become members at the Sherman Lake YMCA. Register on our site so your Trikat friends can see that you are going. You must go to the page to be registered as a participant.